Black Label Society, Corrosion of Conformity & Red Fang comes to The Rave Eagles Club on Thursday 8th February 2018 for a night of unforgettable entertainment! 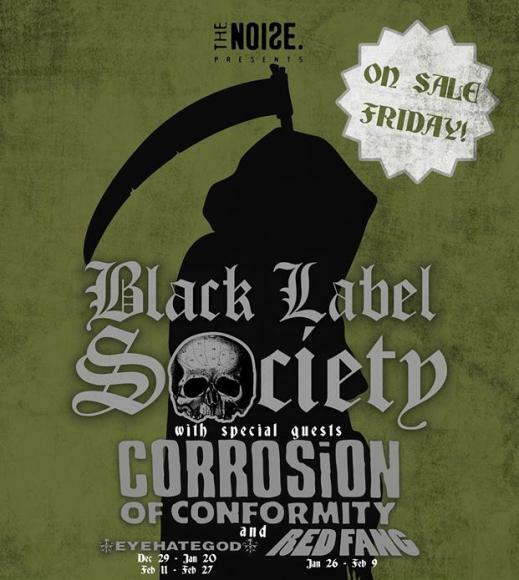 Black Label Society, Corrosion of Conformity & Red Fang will be hitting the road again and serving up everything you know and love about Black Label Society, Corrosion of Conformity & Red Fang – and maybe some surprises too – don't miss out!! !